Between 2008 and 2017 the number of cruise passengers has grown by almost 60% and forecasts from Cruise Market Watch indicate that this level of growth is set to continue into the next decade, with 37 new cruise ships planned to be built between 2018 and 2020 adding a further $11.7 billion to annual revenue. So, what is it that is making this industry so appealing and who are the people using it? The young. Long gone are the days when cruises were for the retired and wealthy. It is estimated that just one-third of those who have taken a cruise in the last three years have an annual household income of under £60,000. Companies are now adapting their offer and marketing to a mix of young families and millennial travellers by offering cheaper packages and a broader range of destinations. There has been a significant increase in the popularity of river and small ship cruising for city breaks and an expansion of climates visited stretching to the Baltics and Antarctica. The older. The influx of new passenger demographics however, has not been to the detriment of the 'traditional' cruise passenger. CLIA have forecast that skip-generation cruising will continue to surge in popularity in the coming years, with grandparents taking their grandchildren on holiday, reducing the burden on parents during holiday periods. Health Seekers. The cruise industry is gaining its share of the ever-growing wellness market. This ranges from MSC Cruises’ Weight Watchers themed cruise providing passengers with cooking demonstrations and wellness seminars, to Oceania Cruises Wellness Tours, including excursions such as private yoga sessions overlooking the bay in Monte Carlo, or laughter-immersion workshops at a farmhouse set in the heart of Costa Brava, Spain. Given the increasing popularity, the cruise industry understands the need to adapt and continues to evolve to meet passengers' ever-growing needs. For example, smart check-ins allow passengers to avoid queues when first boarding and Royal Caribbean offers the opportunity to book excursions for day trips during the check-in process. 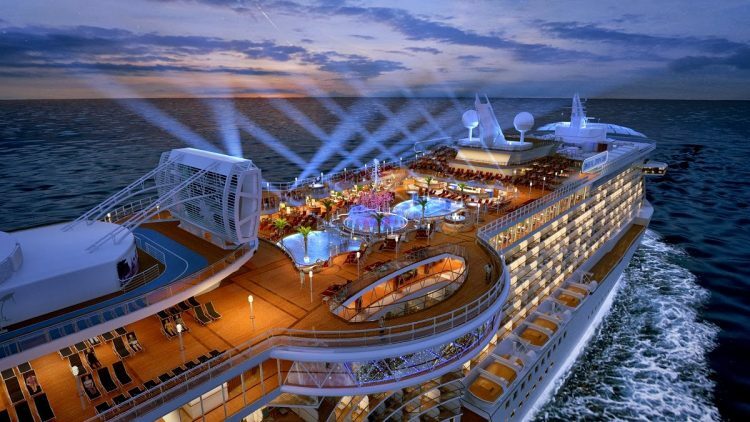 Technology is at the heart of easing and enhancing the experience once onboard. MSC Cruises' Me interactive wristband works in conjunction with an app to allow passengers to unlock their cabin doors, make reservations, view interactive maps, purchase anything on board and geo-locate children! The cruise industry looks set to continue growing into the next decade, expanding its reach demographically and enhancing its onboard offer. It illustrates how a sector once frowned upon as a market for a niche and retiring segment has now sailed to the front of the queue by evolving its proposition to deliver for the experience-seeking generation.